One of the key selling points of Obamacare was that it would reduce cost, in large part through smart public-spirited people making optimized decisions from the top in Washington. Ignoring the fact that no other agency that has promised such angels of public service has ever delivered them, we discussed in the last few weeks how this task is impossible. But we should have known that already through our past experience with the political process. Political decisions are made politically, not by optimizing some public good equation. Does anyone believe that come election time, Congress won’t vote to add mandates to procedures to placate powerful groups in their base, irrespective of the future costs this would incur? In 2007 breast cancer was the third leading source of cancer mortality in the US, but it was by far the largest recipient of government cancer research dollars, nearly double that spent on any other type of cancer. In 2009, out of hundreds of medical procedures, only two procedureswere on the mandated must-carry list of all fifty states – mammography and breast reconstruction. It is no accident that both of these are related to breast cancer. With its links to women’s groups and potent advocacy organizations, breast cancer is a disease that has a particularly powerful political lobby. Similarly, we should expect that, at the end of the day, pricing and coverage decisions under Obamacare will be made politically. Not because anyone in this Administration is particularly bad or good, but because that is what always happens. The Obama administration is examining whether the new health care law can be used to require insurance plans to offer contraceptives and other family planning services to women free of charge. Yup, you caught it – nothing involved in such a change would be “free of charge”. Instead others would be taxed or charged in order for women to not have to pay at the point of service. That’s it. Those who don’t have any need of contraception will subsidize those who do. And the argument, of course, will be the “common good”. The other argument will be that many women can’t afford “family planning services” or “contraception”. But the assumption is the rest of you can afford to part with a little more of your hard earned cash in order to subsidize this effort (it is similar to other mandated care coverage you pay for but don’t need). Oh, and while reading that sentence, make sure you understand that the administration claims it has not taken over health care in this country. Such a requirement could remove cost as a barrier to birth control, a longtime goal of advocates for women’s rights and experts on women’s health. So now “women’s rights” include access to subsidies from others who have no necessity or desire to pay for those services? What right does anyone have to the earnings of another simply because government declares that necessary? It is another example of a profound misunderstanding of what constitutes a “right” and how it has been perverted over the years to become a claim on “free” stuff paid for by others. Administration officials said they expected the list to include contraception and family planning because a large body of scientific evidence showed the effectiveness of those services. But the officials said they preferred to have the panel of independent experts make the initial recommendations so the public would see them as based on science, not politics. Really? This is all about politics. The fact that the services may be “effective” is irrelevant to the political questions and objections raised above. This is science being used to justify taking from some to give to others – nothing more. Frequently used to undermine the 10th recommended. Seat belt laws and 55-mile-per-hour speed limits enforced by threats of withdrawal of Federal funds. Ditto Title IX in state schools. The Feds are like narcotics pushers, getting the states hooked early on easy money and then using their addiction to these funds in all kinds of abusive ways. If you want some enjoyable satire this Friday, this is a nice piece from Ken at Popehat, who has gone the libel tourism route by using French courts to sue a US editor for a bad review of a US book by a US author. The article becomes all the sweeter as a recent email he received raises the possibility that this particular academic completely missed the heavy-handed irony and satire. In one of those strange small-world things, my college roommate and I both have columns at Forbes.com. Brink Lindsey's first installment is here. In it, Brink expresses optimism for the prospects for continued US income growth. This is old, I think, but I had never seen it. Where TARP funds went. This article by Mark Perry seems right to me -- the lightest touch (and probably the most effective) approach to bank regulation is to return to a regime that puts its major emphasis on capital requirements. We can talk all day about causes of the recent financial crisis, but in my mind the root cause was taking real property with a volatile underlying value (e.g. homes) and leveraging the absolute crap out of it. In the initial transaction, home buyers were allowed to come to the table with less and less equity, until deals were being cut with more than 100% debt. This stupidity was a true public-private partnership, as the government kicked off the party and encouraged its growth via various community development policies as well as policies atFannie and Freddie, but private originators as well as home buyers eagerly jumped into the fray. This debt backed by property that was already too highly leveraged was thrown into portfolios that were themselves highly leveraged, and then further leveraged again through CDS's and other derivatives. And then the CDS's were put into leveraged portfolios. I would love to figure out the effective leverage in the AIG portfolio. For ever $1 million in real property that secured the mortgages they insured, how much equity did they have? A thousand bucks? Less? These investors felt protected by diversification that didn't really exist. The felt safe with AAA ratings from agencies who really didn't understand the risks any better than anyone else did. They relaxed assuming everything was watched by government regulators who were in way over their heads. But more than anything, they felt protected by history. The system of putting mortgage risks into tranches, such that the top tranches could only be affected by default rates consider then to be wildly improbable, had never to that point failed to deliver its promise. Default rates had always stayed withing expected norms. And this is the most dangerous risk -- the risk that something will happen that has never happened before. Default rates that seemed impossible suddenly became reality. Tranches that were untouchable suddenly were losing large chunks of their value. Sure, there were warning signs, but at the end of the day what happened was that events occurred that were worse than people had thought was the worst case scenario (there is a whole body of interesting behavioral study on how humans tend to overestimate their understanding and underestimate the width of a probability distribution). As new financial products are created and the economy evolves and the government pursues new forms of interventions in commerce, new failures can occur that have never happened before. And never has there been invented a micro-regulatory approach that guards against new-type failures (they don't even do a very good job against old-style failures). Capital requirements are the one approach that guard against catastrophic failures even for unanticipated risks. It can be argued that this will raise the cost of capital, at it is true interest rates at any one point of time would have to go up. But one can argue that the low interest rates of the 2000's greatly understated the true cost of capital, and that those additional costs were paid in a sort of balloon payment at the end of the decade. I am still thinking this through -- I don't think any regular reader would be mistake me for someone who favors regulation in general, but I am coming around to some extent on the notion that banks are different. I would ideally like to see a self-policing market where companies that choose to cut equity too fine just go bankrupt. But the reality of the political-financial complex today is that this never happens -- costs of large failures are socialized, and executives who made bad choices get fat gold parachutes and Treasury jobs. Postscript: I have arguments all the time about whether the financial melt down was mainly caused by government or private action. Was it a public or private failure.? My answer is yes. One thing that those of us who promote private action over public can never repeat enough is this: Our support for private action does not mean that private actors don't screw up, that there are not bad outcomes, that people don't make bad decisions, etc. They do. Lots of them. When these constitute outright fraud, there should be prosecution. For the rest of the cases, though, libertarians believe that in a free society there are automatic corrections and sources of accountability. Make a bad product - people stop buying it. Sign a union contract with wages that are too high - you go bankrupt. Treat your workers shabbily - and the best of them go work for someone else. Take on too much risk - you will fail and lose all your capital. The problem with our financial sector is not that it is not regulated -- it is the most regulated sector of the economy. The problem is that, as always happens, there has been substantial regulatory capture. There has been an implicit deal cut by large financial institutions - regulate me, but in return protect me. In a sense, as is typical in a corporate state, large corporations and government have become partners. As a result, many of the typical checks and balances on private action in a free economy have been disrupted. In effect, certain institutions became too big to fail, and costs of failure and risk taking were socialized. That is why the answer is not one or the other. Certainly the massive failures were driven by the actions of private actors. But they were driven in part by incentives put in place by the government, and their stupid behavior was not checked because traditional private avenues of accountability had been neutered by the government. This is why the recent financial crisis will always remain a sort of political Rorschach test, where folks of wildly different political philosophies can all find justification for their position. In the health care field, the Holy Grail of rent-seeking is to get one’s medical device, drug, or procedure added to state health insurance mandates. Before Obamacare, health care insurance regulation had been a state function, and each state had written laws mandating that all health insurance policies written in the state must cover certain services. By getting one’s particular service added to such a mandate, the service essentially becomes “free” to consumers in that state (of course it’s not free — everyone pays in the form of higher premiums, but the marginal price for the service goes to zero). Imagine you have a procedure — let’s use laser elimination of birthmarks as an example. This procedures requires a series of treatments using a fairly expensive piece of equipment to produce results that are of enormous value to a few people with extensive birthmarks, and of smaller value to many other people with smaller birthmarks. Business growth in such a field is typically good at first as those who most value the procedure pay for it. But it can be hard to grow outside of a relatively small niche, as most potential customers may consider it to be an expensive elective cosmetic procedure that, given other uses for their money, they can do without. What can an aspiring dermatologic surgeon do? Run to the government! In 1997, the University of Indiana conducted a study of the laser treatment of these birthmarks. I don’t know who funded the study, but tellingly the study findings did not really touch on the efficacy of the treatment or its risks. The study surveyed a number of dermatologic surgeons. What was its primary finding? ”Based on current health care policy guidelines, laser treatment of port-wine stains should be regarded, and covered, as a medical necessity by all insurance providers.” In other words, the sole purpose of this research was to convince legislators to add this procedure to their state’s insurance mandates. To date, this procedure has been added to the must-carry list in only two states, but in those two states doctors no longer have to convince price-sensitive patients that this elective procedure is worth the cost – after all, its free! As you can imagine, the cost of these mandates are staggering for those of us who pay the premiums. State governments are requiring us to pay higher insurance rates in order to cover procedures we might never consider. Four states have mandated coverage for naturopaths; three for athletic trainers; one for oriental medicine; eleven for hair prosthesis; four for massage therapists; and three for pastoral counselors. The state with the most such mandates is Rhode Island, with 70, a state which not coincidently also has the third highest insurance premiums in the country. On a quasi-related note, John Goodman has thoughts on "government failure" (an analog to market failure) as it applied to health care. It is a point that cannot be made too often. Merely pointing out supposed imperfect outcomes from private action does not immediately justify government action -- too often people take the default position that if an improved outcome can be imagined, the government can achieve it. But does this ever happen? In health care, the irony is that many of the supposed market failures we are "fixing" with Obamacare are in fact results of past ham-handed government action. Many of my Conservative friends often rail on liberals and liberal politics as being driven by envy. I find that sort of assignment of motivation to be fairly unhelpful in most debates, though I do understand the case they are making. Kevin, you have it backwards because you confuse two terms. Private businesses did not lay people off because people stopped wanting their product, they laid people off because people stopped paying for their product. I am sure everyone still would like a Porche, just no one is paying for them right now. Ditto houses, etc. Businesses reacted to the reality of less money coming in. They probably had many important things they could have continued doing in R&D or manufacturing streamlining, but the reality was that less money was coming in the door so they reduced their expenses to match. The public sector issue is not different but identical. Sure, there are still lot of things they would like to be doing, but the fact is that less money is coming in the door. But rather than adjust to that fact, they arrogantly ignored it, running up debt in the taxpayers name so a bunch of deputy assistant principals could keep earning $80,000 a year. That is why folks are angry. Kevin Drum is one of the few team politics blogs I read from either the Coke or the Pepsi side of the aisle because I think he often makes the leftish case more intelligently than most. But I have been critical of him all week in his comments section for repeatedly defending public employees unions based on the benefits of private unions. The two are very different, as pointed out by, well, about everybody who is not specifically beholden to the public employees unions. Here is just the first one of many I found in my reader. The Julian Simon Fellowship has an open application process, so applications are always welcome. Review of applications will begin as soon as they are received. The Julian Simon Fellowship is one of the nation's most prestigious opportunities for scholars to develop policy-oriented research on natural resource and environmental conservation. The in-residence fellowship is intended to continue the legacy of the late Julian Simon, whose research led to a massive re-evaluation by scholars and policy makers of their views on the interplay between population, natural resources, and the environment. The ideal candidate for this fellowship is someone like Julian; an excellent scholar with a focus on empirical work and an imaginative research agenda that emphasizes natural resource and environmental issues. Each Julian Simon Fellow is expected to spend at least two months in residence at PERC developing a paper of publishable quality, one that has significant policy implications. During their stay at PERC, Julian Simon Fellows are expected to present a seminar on their work. Each Julian Simon Fellow will receive an honorarium of $20,000 plus office space, office support, and a congenial, stimulating work environment. Fellows will be responsible for their accommodations in Bozeman, but PERC is happy to assist with arrangements. See Interstate 60. Best movie about the meaning of "freedom" you have likely never seen. And you can take that to the bank. As we noted yesterday, more than 40 Arizona state legislators have signed on to a bill that would make the Colt single-action Army revolver the official state firearm. Early this morning, the Senate Appropriations Committeevoted 9-4 to advance the measure to a full Senate vote. Seriously? What a complete waste of time. If we are going to start naming official state _____ where the blank is a commercially sold product, could we at least auction the rights, like the Olympics does? I understand that there are passionate 2nd amendment defenders that somehow think this is a statement they need to make, but I am a passionate first amendment defender as well and I see no need for an official state microphone or printing press model. Speaking of Wisconsin, I filled out my annual corporate report for the state of Wisconsin. For most state filings, the annual report wants mainly to confirm some information about addresses and directors and officers, though the most important information they need is generally a credit card number to pay the annual fee. Wisconsin asks all kinds of other questions about paid in capital and assets in the state. It turns out that the annual fee a corporation has to pay in Wisconsin is based on one's capital investment in the state -- add more capital investment in their state, and the company has to pay a higher fee. Nice incentive. From time to time I hire seemingly qualified people who are awful with customers. They yell at customers, or are surly and impatient with them, or ruin their camping stay with nit-picky nagging on minor campground rules issues. In my company, these people quickly become non-employees. In the public sector they become... 30 year DMV veterans. Only in a world of government monopoly services can bad performance or low productivity be tolerated, mainly because the customer has no other option. In my world, the customer has near-infinite other options. And don't even get me started on liability -- when liability laws have been restructured so that I am nearly infinitely liable for the actions of my least responsible employee, I have to be ruthless about culling bad performance. The same is true of work rules. Forget productivity for a moment. Just in terms of customer service, every one of my employees has to be able to solve customer problems. I can't automatically assume customers will approach the firewood-seller employee for firewood. All my employees need to be able to sell firewood, or empty a trash can when it needs emptying, or clean a bathroom if the regular cleaner is sick, or whatever. For those who really believe state workers in Wisconsin are underpaid, I would ask this question: Which of you business people out there would hire the average Wisconsin state worker for their current salary, benefits package, lifetime employment, work rules, grievance process, etc? If they are so underpaid, I would assume they would get snapped up, right? Sure. When people leave college, they generally don't have a very good idea how to work in an organization, how to work under authority, how to manage people, how to achieve goals in the context of an organization's goals, etc. You may think you understand these things from group projects at school or internships, but you don't. I certainly didn't. The public and private sector have organizations that work very differently, with different kinds of goals and performance expectations. Decision-making processes are also very different, as are criteria for individual success within the organization. Attitudes about risk, an in particular the adherence to process vs. getting results, are entirely different. I am trying hard to be as non-judgmental in these comparisons as I can for this particular post. I know good people in government service, and have hired a few good people out of government. But the culture and incentives they work within are foreign to those of us who work in the private world, and many of the things we might ascribe to bad people in government are really due to those bad incentives. It is a fact you should understand that many private employers consider a prospective employee to have been "ruined" by years of government work, particularly in their formative years. This is simply a fact you will need to deal with (it could well be the reverse is true of government hiring, but I have no experience with it). That is why, for the question I asked above about hiring Wisconsin government workers, the answer for many employers would be "no" irregardless of pay. The Volt comes with a manufacturer's suggested retail price of $40,280 and a rebate from Uncle Sam of $7500. GM only plans to make 10,000 Volts this year; and there aren't enough of them to go around. So, naturally, dealers are marking them up – some by much more than the retail amount. One Florida dealer is asking $65,590 (see Motor Trend for details). You might be able to get one on eBay for around $48,000 – after rebate that gets you right back to list price. Hmmm…. No car dealer or manufacturer would offer a rebate on a product that is in backorder status for the foreseeable future. But that's exactly what your government is doing. Even if you believe that there is a compelling reason for the government to want us all to shift to partially electric cars, it's clear that no incentive is required to sell all 10,000 cars available this year since people are buying them at markups which counteract the incentive. In this case the rebate dollars go to dealer margin. 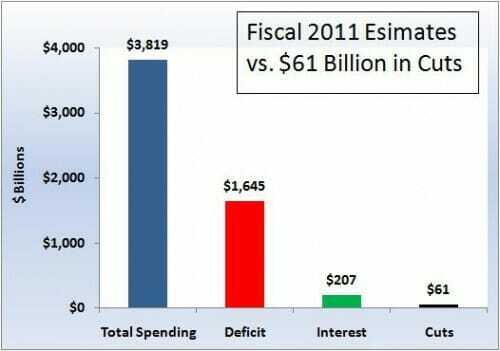 Note deficit cutting opportunity. $75,000,000 down the drain to subsidize upper-middle-class people who want to make a statement about themselves. Yet another public investment in the self-esteem of the wealthy and our rulers. In ancient Rome they built coliseums. In the middle ages they built cathedrals. In communist countries they built giant statues of their leaders and tractor plants. 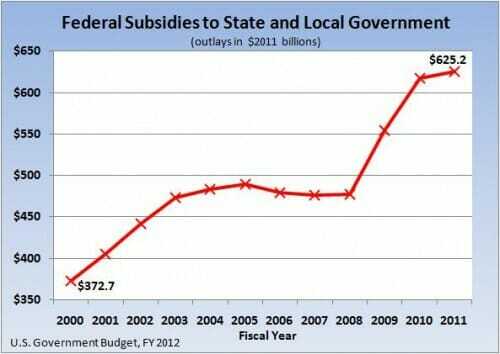 Today we subsidize quasi-electric cars and windmills. None of it makes much sense as way to spend the average person's money, but it makes the elite feel really, really good about themselves. One wonders what the cumulative historic bill has been for ego maintenance of our rulers. Collective bargaining was adopted as a key tactic for labor out of the sense that, by banding together in labor negotiations, workers were able to offset a perceived power imbalance vis a vis employers. But what happens if the management team on the other side of the table in labor negotiations is not actually an adversary? We have seen in the last week that the Democratic Party is operating, right up to the US President, as a wholly owned subsidiary of the public employee's unions. In such a case, where state governments are historically dominated by Democrats, is it any wonder that compensation packages for unions have skyrocketed? They have been negotiating with themselves! A great graphic putting them in perspective. I was listening on the radio today the brouhaha that is occurring up in Wisconsin. Basically the Democratic legislators have all left the state en mass (to deny a legislative quorum) and progressives are being bussed in from all other the Midwest to participate in increasingly confrontational protests. All to protect benefits of government workers. I understand that many progressives don't accept that taxes cannot be increased infinitely. But to the extent there are really some reality-based (lol) progressives out there, who actually understand that there is a limit to how much can be spent in a given government budget, they are going to need to do some soul searching to decide how much education or Medicaid spending they are willing to give up to support the pay packages and fat retirements of government workers. In the late 1960s, as part of the Great Society program, the US government constructed huge government housing complexes, with the goal of guaranteeing that everyone, no matter how poor, would have access to housing. By the turn of the century, most of these complexes had succumbed to the wrecking ball -- the era of large public housing complexes was over. Why? Well, there were a lot of reasons the program failed, but a big one was faulty incentives. By getting free housing, recipients had no "skin in the game," no ownership, no financial participation in their housing. As a result, many treated their taxpayer-funded abodes with contempt. Why not? They weren't paying for it. And if the property was in good shape at the end of the lease, they didn't get any extra money. I often compare Obamacare to the great failed public housing projects by warning folks that government health care is going to be much worse. With the housing projects, we taxpayers paid large sums of money but only a few actually had to live in the horrible government apartments -- at least most of us were able to keep our own homes. With Obamacare, it is going to cost us even more money, and we are all going to have to move, figuratively, into the projects. If we are all forced to have the same, low deductible, first-dollar health plans, what incentive is one going to have to stay out of the health care system, even for something minor? Look around the world today -- not one country with a government health care system pays drug reimbursement rates at a level that provides any incentive for new drug development. In fact, almost all of the world's health care R&D is paid for by Americans. What happens when politicians, trying to close an exploding health care spending hole in the Federal budget, do exactly what every other country in the world has done and use their power to drive drug prices down to marginal cost? In fact, to be confident that there will continue to be health care innovation in the future at all, one has to believe that the US Government will act completely differenlty in running its government health care system than does every other government in the world, despite the fact it will have the incentives to behave identically to all of them. Is this a bet you feel good about? I have to second Glenn Reynolds recommendation of this Snap Circuits electronic kit. This is BY FAR the most user friendly electronic building toy we have found, and it works great. I don't see that many kids with these so its a great gift for nieces and nephews who you are not sure what they already own. Apparently, Jeff Flake is Not A Conservative Republican. Good. Local Conservative blogger Greg Patterson is already testing campaign messages for 2012 and the election to fill Jon Kyle's vacating Senate seat. Apparently Jeff Flake is RINO, and, gasp, a libertarian and not a Republican. Well, good. I will observe that Flake has had far more backbone on issues Republicans care about (e.g. spending) than most "true" Republicans in Congress have had. As an aside, I could get all litmus-testy as well and be disappointed that Flake voted for the Patriot Act reauthorization. And I fear that Arizona politics will pull him further to the right on immigration. But Flake still strikes me as a far better choice in terms of the energy and passion he brings to key issues than some establishment Republican. He has stirred up far more trouble in the House than one might expect given his lack of seniority and plum committee assignments.